Notre Dame Football: Fool's Gold Or 24K? Whether you love or hate Notre Dame football, it is impossible to escape the tradition of one of the most storied programs in the history of college football. The "Play Like a Champion Today" sign, the player walk before each game which passes in front of "Touchdown Jesus," the ultimate underdog story epitomized by Daniel Eugene "Rudy" Ruettiger and Knute Rockne's "Win One for the Gipper" speech are all indelible images of Notre Dame football. Perhaps the most distinct and iconic image of the football program is the gold helmet which the Fightin' Irish began wearing in the 1950s. Through the years preparing the gold helmets has been an elaborate operation that at one time included student managers painting the helmets with real gold flakes. Not just any gold flakes but flakes from the 24K gold leaf that was scraped from the iconic Golden Dome. Gold leaf is very thin and susceptible to the elements making it necessary to periodically regild the dome. 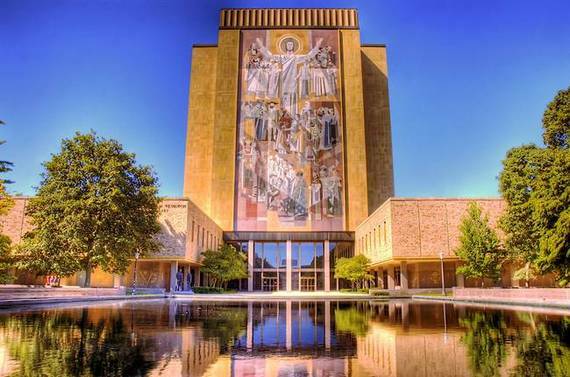 A former student manager has divulged information about the painting process including that the gold is stored in a five-gallon bucket in the stadium, and four level spoonfuls of gold dust are used in a vat of regular gloss paint. It is not clear whether the five-gallon bucket is full of gold dust or this is simply the size of the container. Using the current price of gold if the bucket were full it would equate to roughly 11,700 ounces of gold at $1357.57 per ounce or nearly $16 million. Even if the bucket were only a quarter full of gold, it would still be worth $4 million. The helmets are repainted for every game, and if four level spoonfuls are used per game or about 37 troy ounces, the value of Notre Dame helmets for each game would be a little over $50,000 given 100 players per game. A fourteen game season would involve $700,000 worth of gold or about $7,000 per player per season. Before you start planning the greatest gold heist in the history of college football, it is important to realize these numbers are most likely inflated. The most recent regilding of the dome in 2005, cost $300,000. The spot price of gold at the time was $434.50 meaning there were about 345 troy ounces of gold used in the regilding of the dome. At today's prices, this equates to about $470,000 worth of gold being available to paint football helmets. Is a Notre Dame football helmet worth its weight in gold? Game used helmets are big business for major college football programs. Baylor University, for instance, sold their game used chrome helmets that cost the school $700 a piece for $2,000 to donors to the athletic program. Baylor sold all 100 helmets which resulted in $130,000 of profit for their booster club. The Baylor helmet was all chrome, and while it was nice and shiny, it contained no gold. So what does a game used Notre Dame helmet painted with actual gold, cost? According to information available on Heritage Auctions, one of those early gold helmets from the 1950s goes for around $1,100, a helmet from the 1970s, about $1,800, and a helmet from the 1980s only fetched $448. Does not seem right that a helmet made of real gold from a traditional national power like Notre Dame is not worth as much as a chrome helmet from an upstart and now most likely defunct program like Baylor. Notre Dame football helmets have evolved over the years. Brian Kelly became the head coach at Notre Dame in 2009 and changed the look and design process of the gold helmets in 2011. According to Kelly, Notre Dame "finally got it right" with the gold look of the helmet. The new gold standard of football helmets no longer involves the work of student managers because of the complexity of the new painting process. The color of the helmets are more consistent from helmet to helmet and involve the use of 23.9 karat gold flake. The overall result of the new process is a more reflective helmet that resembles the Gold Dome more than the previous versions of the helmet. The new gold helmets from the team's Shamrock Series game in 2015 are going for between $1,649.95 and $2,695 on eBay. So has the luck of the Irish changed with the helmet redesign? Since 2011, Notre Dame is 47-18 with an appearance in the national championship game. This was a considerable improvement from the previous five seasons when the football team managed a 34-29 record. Will the luck continue in the 2016 season? 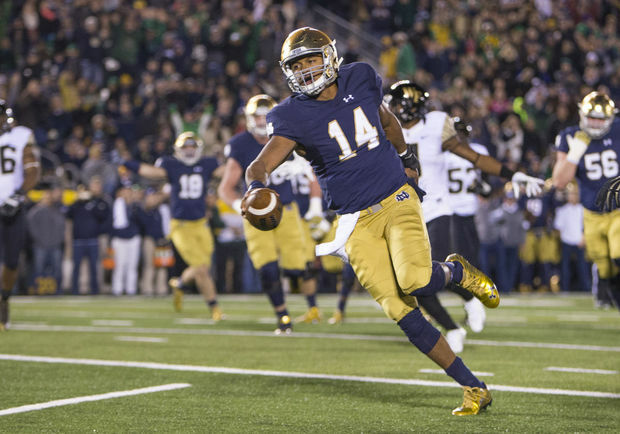 The Irish have two dependable and experienced quarterbacks in DeShone Kizer and Malik Zaire and have stockpiled enough talent to maybe not replace Will Fuller at wide receiver but be adequate enough to win games. The offensive line will be good despite the loss of Ronnie Stanley. With three returning starters on the line, Tarean Folston should be more than sufficient running the ball after coming back from his knee injury. The defensive side of the football collapsed late in the year against Stanford and Ohio State. Sheldon Day, Romeo Okwara, and perhaps most importantly, Jaylon Smith are gone from a year ago which forces the defense to be retooled. Without their best pass rusher from a year ago in Okwara and their best linebacker, Smith, the defensive secondary could be exposed. If Torii Hunter Jr. can emerge as a legitimate number one target for the Irish quarterback and the run game can get going behind an experienced offensive line, the defense may have the time they need to develop into a decent unit. The schedule is not as challenging as in past seasons. The Irish open with a team in Texas that they dismantled rather easily last year and most likely will do the same this year. The three challenges on the schedule for Notre Dame are against Michigan State, who lost the school's all-time passing leader in Connor Cook, against Stanford who boasts Heisman contender Christian McCaffrey, and the last game of the season against rival Southern Cal. With the Trojans mired in a quarterback competition and the other two games against top 25 teams at home, Notre Dame should have a legitimate chance at a top 5 finish and maybe a national championship. 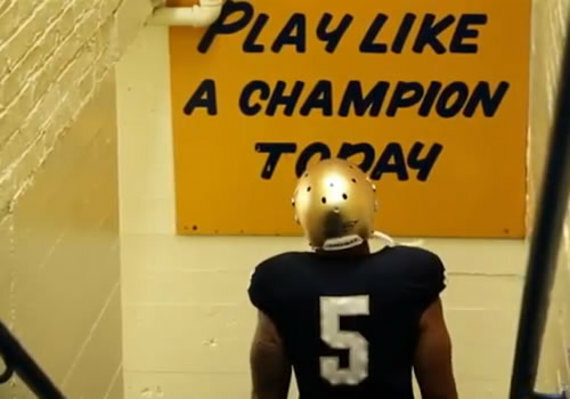 Can the Notre Dame players shine on the field as bright as their helmets or are they more fool's gold than real gold? Either way, they will be one of the best-looking teams, at least according to Fox Sports who ranked the Notre Dame the fourth best uniform in football. 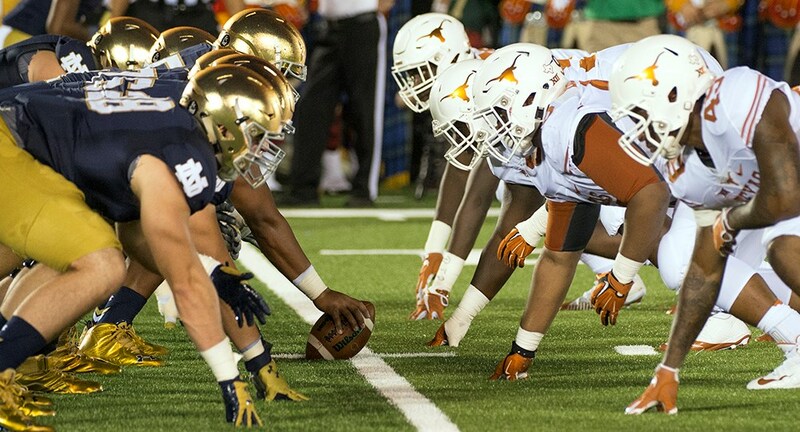 However if the Irish can contend for the title, they will return to the elite level in college football.